New technology has an old, versatile, and cheap material—paper—springing to life. A thin layer of conducting thermoplastic, applied to regular paper with an inexpensive 3D printer or even painted by hand, serves as a low-cost, reversible actuator. When the researchers apply electrical current, the thermoplastic heats and expands, causing the paper to bend or fold; when the current goes away, the paper returns to a pre-determined shape. Postdoctoral researcher Guanyun Wang, former research intern Tingyu Cheng, and other members of Yao’s Morphing Matter Lab have designed basic types of actuators, including some based on origami and kirigami forms. 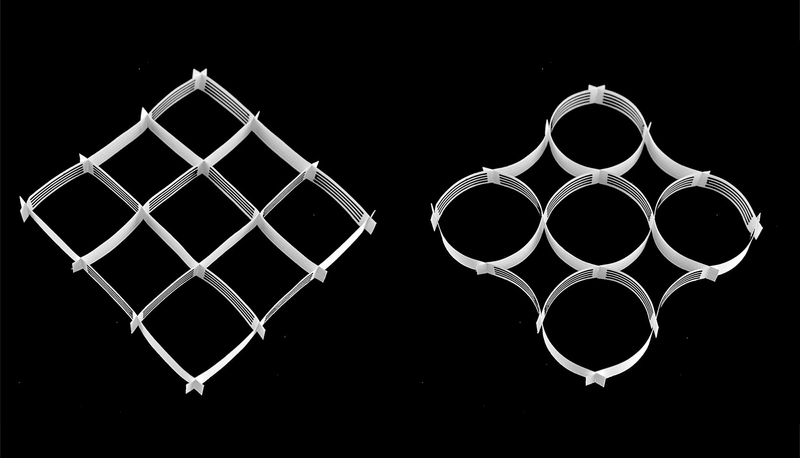 These enable the creation of structures that can turn themselves into balls or cylinders. Or, they can construct more elaborate objects, such as a lamp shade that changes its shape and the amount of light it emits, or an artificial mimosa plant with leaf petals that sequentially open at a touch. Creating a paper actuator is a relatively simple process, Cheng says. It employs the least expensive type of 3D printer, a so-called FDM printer that lays down a continuous filament of melted thermoplastic. The researchers use an off-the-shelf printing filament—graphene polyactide composite—that conducts electricity. The thermoplastic actuator is printed on plain copy paper in a thin layer, just half a millimeter thick. The actuator is then heated in an oven or with a heat gun and the paper is bent or folded into a desired shape and allowed to cool. This will be the default shape of the paper. Electrical leads can then be attached to the actuator; applying electrical current heats the actuator, causing the thermoplastic to expand and thus straighten the paper. When the current is removed, the paper automatically returns to its default shape. Yao says the researchers are refining this method, changing the printing speed or the width of the line of thermoplastic to achieve different folding or bending effects. They have also developed methods for printing touch sensors, finger sliding sensors, and bending angle detectors that can control the paper actuators. More work remains. Actuation is slow, which Yao and her team hope to address with some material engineering—using papers that are more heat conductive and developing printing filaments that are customized for use in actuators. The same actuation used for paper might also be used for plastics and fabrics. Yao’s group presented the technology in April at CHI 2018, the Conference on Human Factors in Computing Systems, in Montreal.